Our Evacuation Chair features an advanced tracked design allowing use by one operator, reducing health and safety concerns during use and allowing smooth decent of stairs. 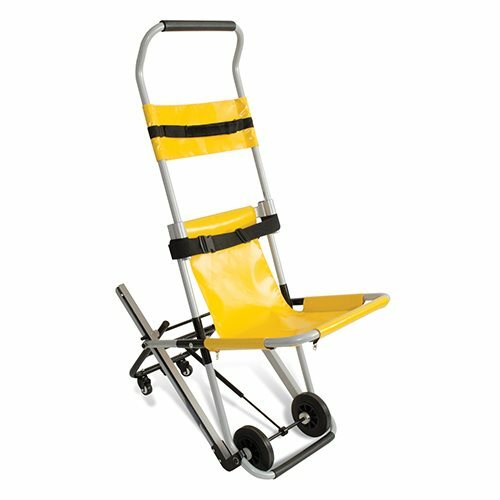 Our Evacuation Chair features an advanced tracked design allowing use by one operator. As a result, this reduces health and safety concerns during use and allowing smooth decent of stairs. A sick, injured or any person unable to negotiate stairs independently and safely, are at risk. If you assessment of needs points the levels in your building as a risk this is even more of a reason to consider an emergency evacuation chair. This evacuation chair is ideal for colleges, hotels and also offices being just a few examples of multi-level builds that shouldn’t be without this essential evacuation device. HSE guidance clearly states employers have a legal duty of care towards their employees. This certainly includes arranging equipment to ensure their employees receive immediate attention if an injury occurs at work. If your assessment of needs suggests your work place is a risk to causing head, neck and spinal injuries, it would be wise to consider supplying a stretcher and head immobiliser for such events. 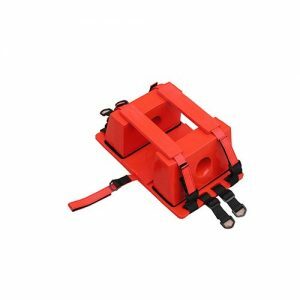 The head immobiliser is made of high-density, plastic material and contains large ear holes for monitoring the patient’s ear canal. 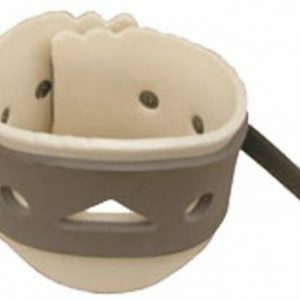 This foam cervical collar is used for cervical injuries requiring non-rigid support and limited mobility. It can also be used as an aid for the relief of pain associated with neck muscle or whip lash. 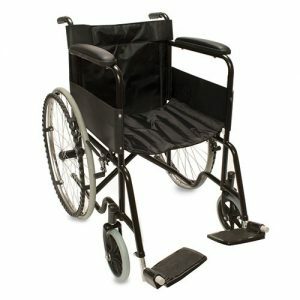 Ideal as a part time wheelchair, these chairs also prove very popular in nursing homes, hospitals and public areas.